Mixed breed, Koda has been protected by Pets Best since 2009. It’s always a good idea for pet owners to thoroughly research a potential pet to ensure they can accommodate the animal’s needs and afford veterinary care for any possible health issues. Pets Best Insurance Services, LLC, a leading U.S. pet insurance agency, released its annual list of the top 10 most popular dog and cat breeds enrolled with the agency in 2014. In the company’s nine years of insuring dogs and cats, the top 10 most popular breeds have remained relatively consistent. However, the agency has noticed definite trends during the years, with certain breeds gaining popularity and others falling in the rankings. Tracking data on 234 dog breeds and 46 cat breeds, Pets Best has listed its top 10 breeds for both dogs and cats in 2014. Mixed breed dogs, No. 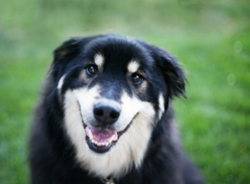 1 on this year’s list, continue to make up about 30 percent of all dogs insured by Pets Best. This year, the agency has separated the mixed breed dogs from the designer/hybrid breeds, which come in third place for 2014. Designer or hybrid breeds are becoming increasingly popular for several reasons. Certain breeds including the goldendoodle, a mix between a golden retriever and a poodle, have seen a rise in popularity due to the fact that they shed minimally, making these breeds ideal for people with allergies. Pets Best offers a multitude of pet health insurance plans for both cats and dogs. These include a Cancer Only plan covering the diagnosis and treatment of cancer in dogs and cats, as well as a Feline Illness plan that covers 21 common feline illnesses. For more information about the agency and its plans, visit http://www.petsbest.com. Dr. Jack L. Stephens, founder and director of Pets Best, founded pet insurance in the U.S. in 1981 with a mission to end euthanasia when pet owners couldn’t afford veterinary treatment. Dr. Stephens went on to present the first U.S. pet insurance policy to famous television dog Lassie. Pets Best provides coverage for dogs and cats. Dr. Stephens leads the Pets Best team with his passion for quality pet care and his expert veterinary knowledge. He is always available to answer questions regarding veterinary medicine, pet health and pet insurance. The Pets Best team is a group of pet lovers who strive to deliver quality customer service and value. Visit http://www.petsbest.com for more information.